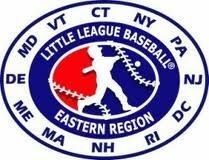 Rye Little League is pleased to announce the Major League and AAA Teams. Congratulations to the major league 2019 rookies! AA and A registration is open until April 15th. Interested in making a donation? Contact our RLL Board President, Ray Hindle rayhindle2@gmail.com. You can also check out the donations page or sponsorship page for more information.